We run a mix of events across the year, some socials, some rideouts and a few weekend events that are always popular like the Midgie Masher and Highland Fling. 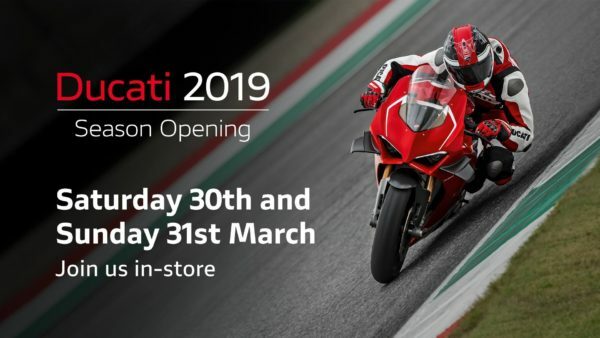 The 2019 motorcycling season will kick start with an incredible Season Opening and New Model Launch Party at Ducati Glasgow. Unveiling the latest additions to the Ducati Model line-up, 2019 Clothing Collections, guided tour around the workshops and test ride ride-outs. Special offers will be available over the weekend, showing MotoGP live onscreen with the Café Racer serving great food too. The Scottish Ducati Club marquee will also be there over the two days. We look forward to seeing everyone! 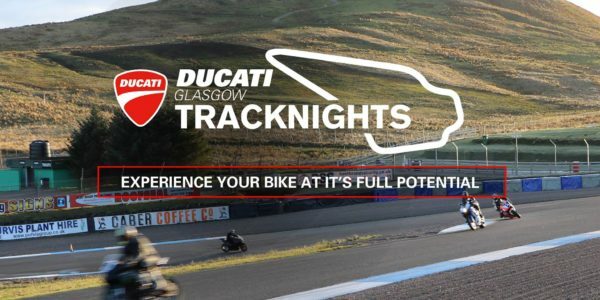 In partnership with Ducati UK and the California Superbike School, Ducati Glasgow Roadshow brings their entire 2019 demonstrator fleet. To book a TEST RIDE, send your details NOW!